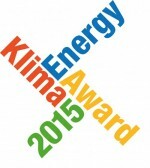 The Klimaenergy Award is an award for best practices of italian municipalities in the field of energy efficiency, renewable energy and waste reduction in public space. There were three categories that have been decorated: cites with 20.000 inhabitants, centres from 20.000 to 150.000 persons, and larger areas with more than 150.000 inhabitants. A committee of experts evaluated the best projects. The winner in the category for cities with more than 150.000 inhabitants is the municipality of Bologna, where various interventions on public illumination and requalification interventions on public buildings were realized. In the second category another municipality from Emilia-Romagna won: Forlí showed a high level of innovation in the field of solar energy gathering. In fact the public decisions makers decided to construct 20.000m² of solar collectors that work with diathermic oil but produce also electric energy. The winner in the smallest category is from Friuli-Venezia-Giulia. The city Tavagnacco promoted a campaign for the sensibilization of its inhabitants, including also geothermic energy. The price giving ceremony was held in Bozen, Südtirol during the Klimaenergy fair. ← Expo 2015: How sustainable is the universal exposition?